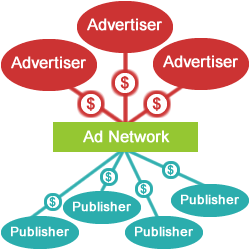 As it relates to Web monetization, an ad network is essentially a middleman who specializes in bringing together publishers and various types of advertisers. There are different types of ad networks, including display ad networks, email ad networks, and affiliate networks. Though advertising networks have become increasingly complex in recent years, the simplified illustration to the right captures their most basic functionality. Networks can effectively provide 100% fill rates to publishers looking to monetize their ad inventory but unable to establish direct deals with sponsors or advertisers. The most obvious advantage of using an ad network is the supply of advertisements to run on your site. Even if you’ve only sold a portion of your inventory, you will be able to display an ad on every page. Another service provided by networks, however, relates to the administrative burden. Sites that use ad networks exclusively never have to worry about preparing and sending invoices, tracking earnings, or optimizing the pool of advertisers. In many cases, they are simply required to add a few lines of code and then let the ads start running. Networks bring liquidity to smaller publishers who may otherwise be unable to monetize their traffic. And they bring scale to large advertisers who don’t have the willingness to craft individual deals with thousands of small publishers. In exchange for these services, networks make money by taking a portion of the total gross revenue generated. In other words, only part of what the advertiser pays ends up with the publisher. The total amount is split between the publisher who creates the ad impression and the network that handles the actual trafficking and serving of the ad to the publisher. Many publishers who do sell ads directly will still utilize networks as a solution for monetizing any unsold inventory. Our entry on remnant ad space has much more detail on effective strategies here. For sites that don’t want to use networks, there aren’t many good alternatives. One involves simply letting the space go unused–serving a blank space where the ad would be or collapsing the ad unit area entirely (the latter is a much better strategy). Alternatively, house ads promoting other products, services, or sites owned by the publisher can be run in any remnant inventory. Picking the right network for your site can be very challenging. There is generally no shortage of options when it comes to picking a network. There are countless ad networks to choose from and numerous affiliate networks as well. Depth of advertisers / fill rate: A major benefit of networks is reliably high fill rates. 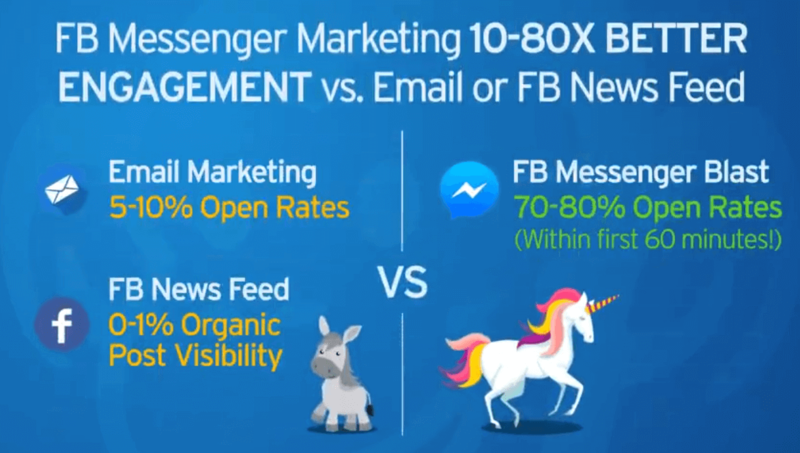 If a network can’t guarantee close to 100% fill rate, they may not be worthwhile. Technology / relevancy of ads: Ad networks that are able to serve ads relevant to your audience will typically deliver the highest click rates and earnings. Quality of advertisers: Ideally, a network will run relevant ads from high quality, non-spammy advertisers. Degree of publisher control: The best ad networks will give publishers flexibility to block certain advertisers and categories. Flexibility of ad units: The best ad networks will be able to supply ads of all shapes and sizes. Mobile compatibility: As the percentage of mobile traffic grows, it is increasingly important for a network to be able to monetize traffic from mobile devices and tablets. Payment terms: The best ad networks will pay their publisher partners quickly and with minimal adjustments.